So often we think our worth is tied to things like who we are, how we look, or what we’ve done. Every mirror we pass screams out our past, our reflection wrapped in the poor choices we’ve made rather than the Truth of God. The list is as endless as the sins we can find ourselves in, and because of it, we find ourselves worthless. But oh, dear friend, that’s not how God sees us. Our worth is wrapped solely in the fact of his love. Even at our worst, we were still worth his best. When he hung on that cross it was not in spite of our sins, it was because of our sins. He saw them. Knew every dark place in our lives. And still died for us. Because of his great love. You were worth his life and his death. And because of his death, you can be redeemed. You can shed the layers of your past. God understands your true beauty. Sees your potential beyond the place you’ve found yourself at. He sees the true you and knows your value. He didn’t die for you to stay where you are. He died for you to become all he created you to be. Let him show you today how he sees you. Let him show you how invaluable you truly are. And let him show you the beauty he sees underneath all the other layers. Lord, let me fully understand that even when I was at my worst, you still gave your best because I am valued by you. Let me see myself through your eyes and come to a full knowledge of your saving grace. May my reflection start to resemble how you see me; beautiful and of immeasurable worth. 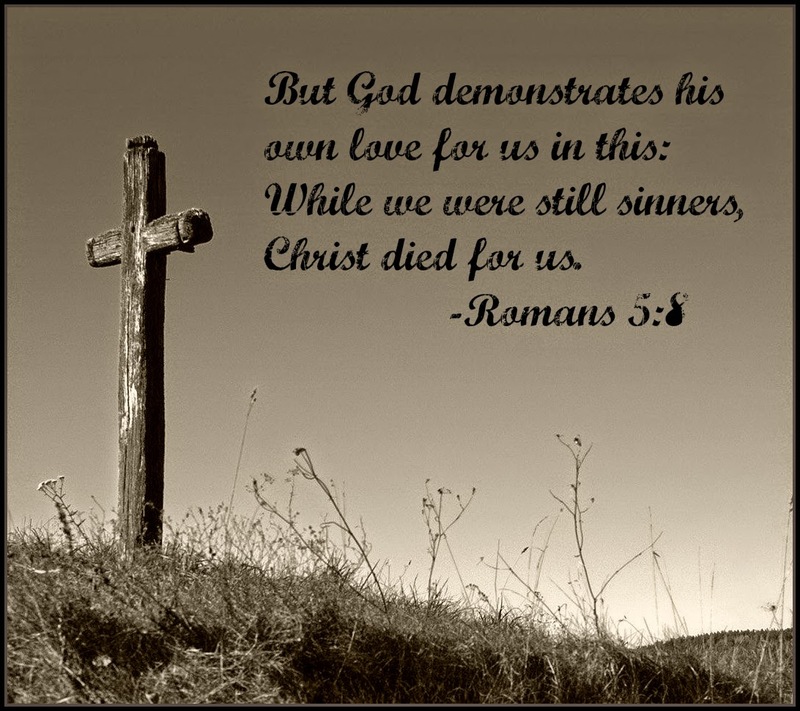 If you're here, and you've never heard this verse, been told how much Christ loves you, or understood that He died for you...contact me through Facebook or Twitter (my link is in the right sidebar of this blog) or leave me your email in the comments here. I'd love to talk to you, or answer any questions you have.